A couple of weeks ago, I was struck with a desperate need to do something for the Standing Rock #NoDAPL protest. I had been following the story from the beginning, and with each new development, my anger and frustration rose a bit more. I wished that there were something I could do. Then I had a thought...it came to me very suddenly, and out of the blue. 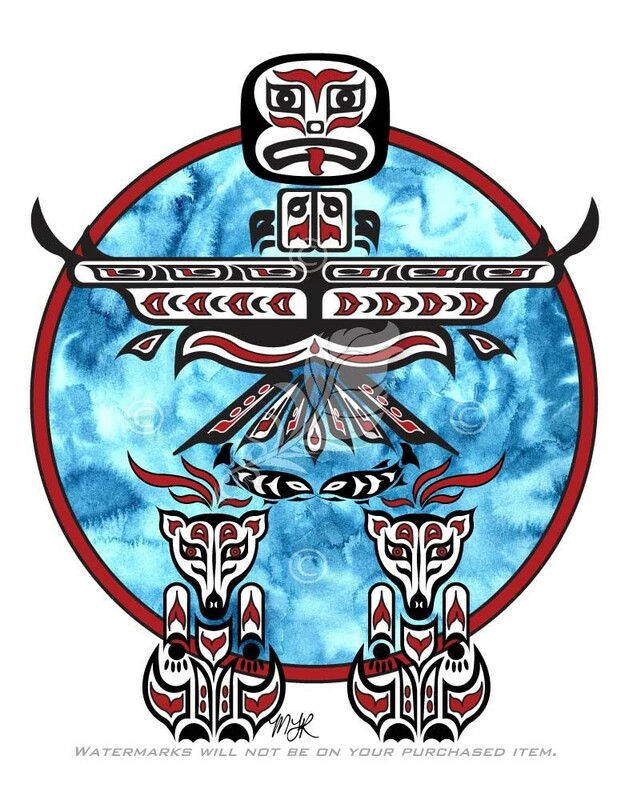 An Inuksuk (Inukshuk), in the Haida style, on a blue background. A standing rock, in a human shape. How fitting! This is the result, and I am donating all proceeds from the sales of this design to the official Standing Rock Sioux tribe. Please click on the image below to go to my online store, to view more details about this piece, and to purchase one of the products with the Standing Rock Inuksuk design, and help support NoDAPL.